Check out my spoiler-free book review of All of Me by A.L. Jackson. Also, enter for a chance to win a $50.00 Amazon gift card and an incredible book bundle! This book is a standalone and FREE in Kindle Unlimited on Amazon. 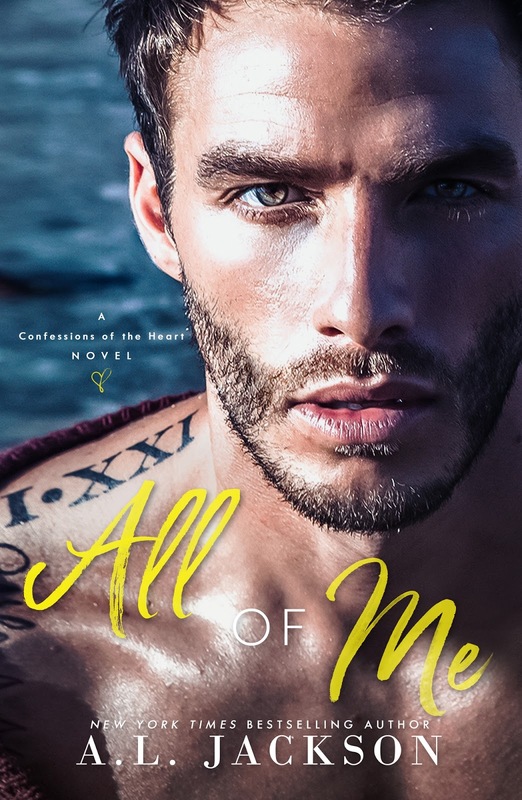 4.5 All of Me by A.L. Jackson is the second installation in Confessions of the Heart series. Ian is a shady attorney who a broken past. He is mentally and physically scarred from his rough upbringing. Ian hooks up with Grace, and she later becomes Ian’s client in a high-profile custody battle. They can’t be in a relationship since it would be unethical. Ian believes he is incapable and undeserving of love, especially from a woman like Grace. Their attraction is undeniable, and it could end up hurting them both. Will Ian risk it all to be with Grace and her kids? Will he finally open his dark heart to the love and light that Grace has brought into his life? A.L. Jackson’s signature writing style really shined in All of Me. This book was full of passion and angst and was pretty intense at times. What an ending!!!!! I couldn’t turn my virtual Kindle pages fast enough. This emotion-packed romance will set your heart on fire. One-click worthy.